An E-8C Joint STARS takes off from Robins Air Force Base, Ga., on a mission in support of Hurricane Harvey relief efforts on September 1, 2017. (Airman Amanda Bodony/U.S. Air National Guard). WASHINGTON — Northrop Grumman is still having trouble moving E-8C JSTARS out of its depot despite improvements in quality control, and aircraft availability is suffering as a result, the head of US Air Force Materiel Command said. The service grounded four JSTARS aircraft in 2016 when it found quality control issues on planes from Northrop’s depot in Lake Charles, La., and within weeks, those aircraft were flying again. While changes were made to its leadership and sustainment processes, Gen. Ellen Pawlikowski said more progress needs to be made. “We’re still at a point of not being able to get those jets through the maintenance period in the timely manner that we need in order to keep the aircraft available,” she told Defense News in an exclusive Sept. 20 interview during the Air Force Association’s annual conference. “We are on a path to get there, but there is still a lot of heavy lifting to be done to get us to the point where we have the aircraft availability that Air Combat Command needs,” she added. 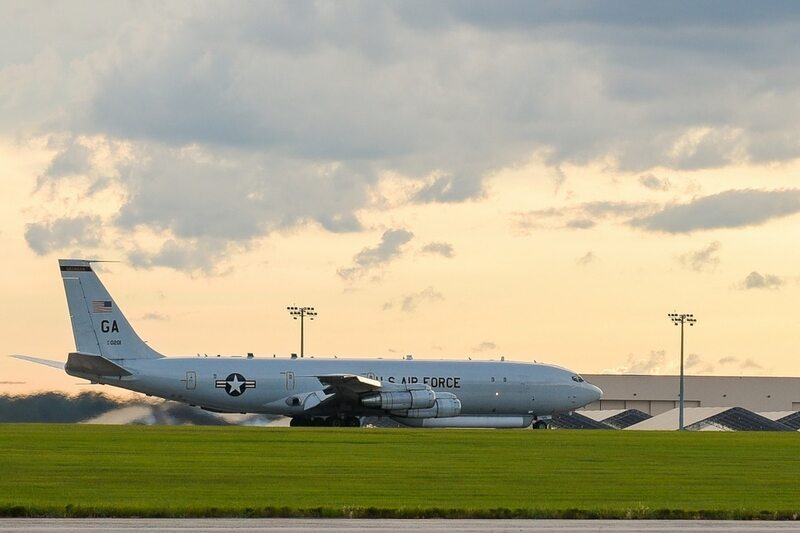 Northrop Grumman replaced at least one official at its JSTARS depot in Lake Charles, Louisiana, after four JSTARS aircraft were grounded last year as a result of maintenance problems. The U.S. Air Force’s JSTARS — short for Joint Surveillance Target Attack Radar System — is the service’s premier battle management and surveillance aircraft, used to detect ground targets and convey that information to nearby combat aircraft. However, after decades of operation, including more than 130,000 combat hours flown in Iraq and Syria since 2001, the aircraft is becoming significantly more difficult to maintain. The health of the fleet might be even more critical should the U.S. Air Force cancel the JSTARS recap program, which would replace the aging E-8Cs with modern aircraft outfitted with a more advanced radar. Because the latest assessments of the aircraft show it can last until almost 2030, the service is considering retaining its current capability while deciding how best to field a more survivable replacement. The U.S. Air Force operates only 16 JSTARS planes with an additional aircraft for training. However, over the past year, about six planes have been in Northrop’s depot, located at Lake Charles, La., at a single time. The company’s current sustainment contract does not stipulate how many aircraft can be in depot at a single time, but Patty Welsh, a spokeswoman for Hanscom Air Force Base, Mass., noted that Northrop is “heavily incentivized” to decrease the number of planes going through maintenance. Northrop’s sustainment contract with the Air Force runs until 2022. Past that, the service will consider whether other companies are better fit to maintain the legacy of JSTARS fleet going forward, Pawlikowski said. “I think we should do that regardless of whether we continue to make progress here. We’re looking at a different situation now, if indeed we’re going to potentially keep those aircraft a little longer,” she said. The service is also working on a maintenance plan that will lay out how to keep the planes flying for the rest of its service life. Pawlikowski anticipates that plan could be delivered as early as 18 months from now and will spell out how often planes must be inspected, which parts will be treated for corrosion and adjusting what work is done by the U.S. Air Force on the flight line instead of in the depot, for instance. The legacy JSTARS aircraft are encountering problems not “in the instruction manual” for a typical Boeing 707 due to the many modifications made so that the plane could incorporate military-specific equipment. The new maintenance plan will also address those challenges as well, she said. “We continue to work closely with our Air Force customer in supporting this critical mission and the required demands of the warfighter for the Joint STARS fleet,” said Bryan Lima, the company’s director of manned C2ISR programs.